At the minute, the world is basically awful. There's Donald Trump, Brexit, the ongoing rise of weaponised populism, and people keep feeling up all the Creme Eggs. Also climate change isn't going away, and yet is given worryingly short shrift by most (all?) major powers. No surprise then that people are preparing for the end times. Hell, if you go looking, you can find a list of what to stockpile (and an affiliated cook book). I suspect that's why this series has come along. It's a "podcast" (on the radio! Whatever will they think of next), that offers guidance on how to be ready for the apocalypse. Sylvia and Rachel are "preppers", the term for those who give serious thought to how to deal with the catastrophe and make plans for all possible scenarios. Elements of these plans include a "bug out bag", an intended fallback location, and what you're going to do to keep from going insane. Sylvia's plan, which I must say I strongly approve of, is a massive collection of mp3 audiobooks, a solar charger, and some booze. Also a homemade weapon, for sorting out any of those troublesome family members who just can't make it in the new world. It's very much the "top tips" of survivalist madness, with the two of them offering advice and guidance, backed up by their own shambolic personal experiences. These include how to filter water with tights, a recipe for homemade jerky, and how to decide your "trigger" for when it's time to run for the hills. My personal preference is when Radio 4 switches off, so I can pretend to be a submarine captain. Ping! 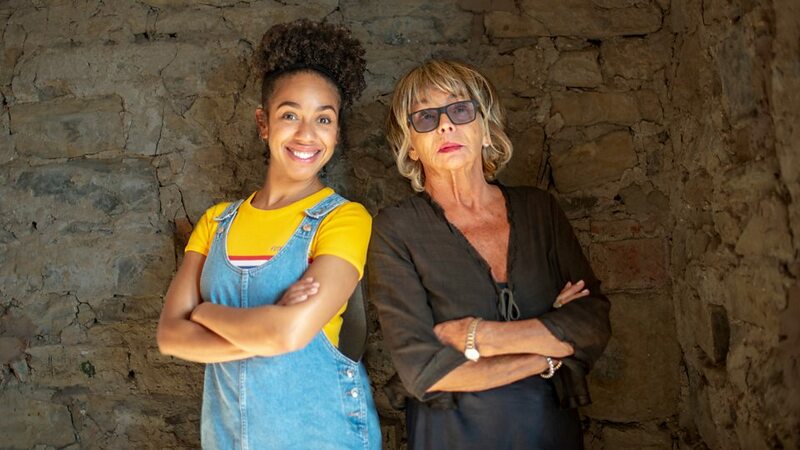 It's enjoyably chatty, with Rachel's youthful exuberance and need to temper her stockpiling desires with her flatmate's need for kitchen gadget space, balanced by Sylvia's more relaxed and experienced style. She also has a pleasing fight with the guest of the week, a bear-obsessed people manager with concerns about their health. And finished off with a cavalier approach to the local bureaucracy that might disagree with some of her more fire-centred plans. Also managed a reference to Heaton Park, which I enjoyed far too much. Will definitely be listening to the rest of it.